Jumping rope is lots of fun and it's also great exercise! For solo skipping you will need a shorter rope that at least touches the ground when you hold the handles in your hands at your waist. 3 ball juggling is the basic skill needed to get good at juggling. 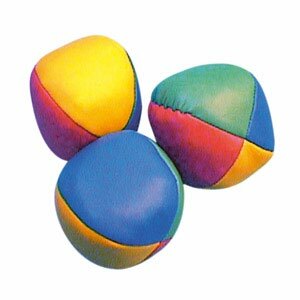 Get 3 medium weight balls which all weigh the same and practice first with 1 ball, then 2 and finally 3. So first take 2 balls and just do one toss to practice catching in both directions. Then do the same the other way as in the video. Finally in step 3 you can combine the 2 steps but still only do one set and then stop. Wow, when you get to step 4 you are almost juggling! Put it all together and see how many rounds you can do. Fit for a Feast- a fun place for kids cooking, kids fitness and kids activities. Join Katrina and Sloane for some great cooking recipes, dance tips and fun activities for kids.